This low-noise pre-amplifier deliver exceptionally high dynamic range in the receiving and measurements systems. The low noise-figure is coupled with extremely high intermodulation level to each this goal. The high dynamic range enables to use as a wideband amplifier in a recover systems without overload the input. In this way up to 6-8 dB sensitivity improvement could be reach in the system. 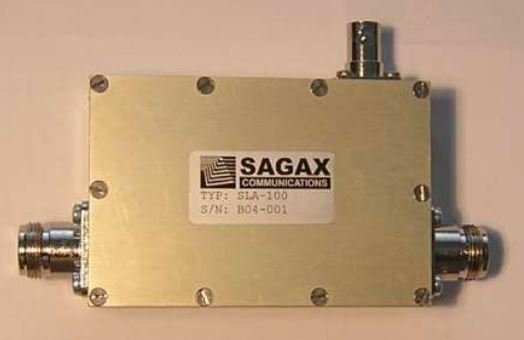 The high-gain version could be used to improve the sensitivity of a spectrum analyzer in the laboratory environment, where signal load can be controlled. The high gain and low noise figure makes it useable to set up a noise figure measurement with ordinary spectrum analyzer.